Being fit and healthy is a life goal for almost everyone these days. That is why it’s no surprise that people are also making a run for wellness activities. 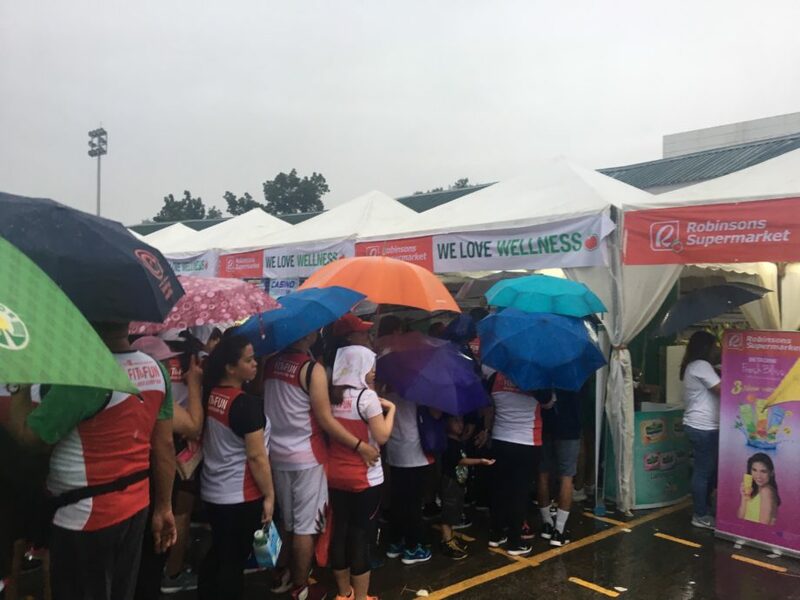 One such activity is the Robinsons Supermarket 11th Fit & Fun Wellness Buddy Run which was a success despite the heavy rains. We had a great time at the Fit & Fun Wellness Buddy Run last year so we were excited to go for another round this year. The Robinsons Supermarket Fit & Fun Wellness Buddy Run is an annual event that aims to encourage people to start their wellness journey. “We are happy to provide an opportunity for people to start their wellness journey in a fun and one-of-a-kind event with their partners. After all, getting fit and choosing the healthier lifestyle is more worthwhile when shared with a buddy,” said Jody Gadia, Robinsons Supermarket general manager. For the 11th Fit & Fun Wellness Buddy Run, participants will race for wellness at the parade grounds of Camp Aguinaldo in Quezon City. The beauty of this race is that you are not alone in the run. 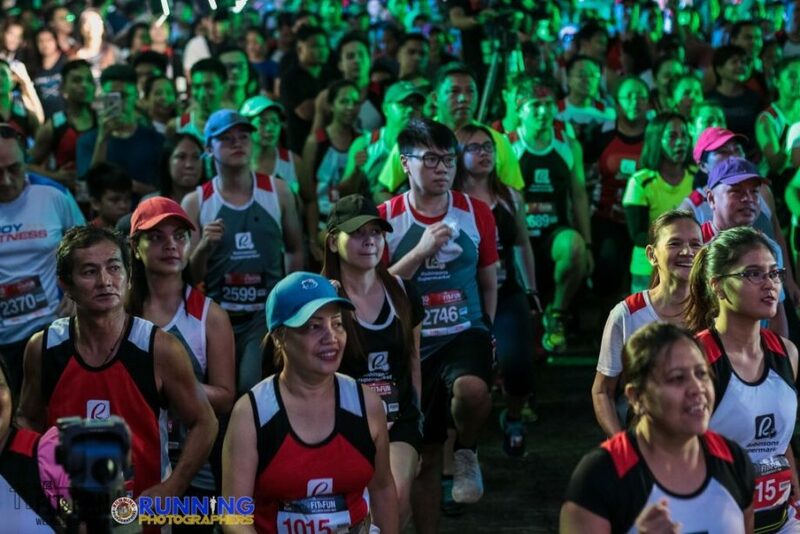 Running pairs like parents and kids, siblings, lolos and apos, loved ones, officemates, best friends, even neighbors compete in 5K and 10K races. Travel packages and Robinsons Supermarket gift certificates await the race winners. 5K Race top winners get a trip for 2 to Siargao with 3 days/2 nights hotel accommodation while 2nd and 3rd placers get Php8,000 worth of Robinsons gift certificates. 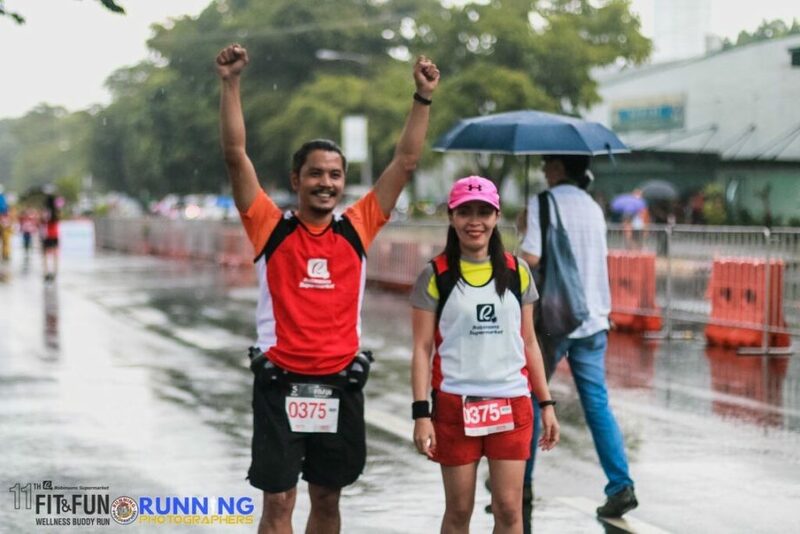 For 10K Race podium finishers, the top prize includes a trip for 2 to Hong Kong with 3 days/2 nights hotel accommodation while 2nd and 3rd placers get Php15,000 worth of Robinsons gift certificates. That’s not all because everyone is a winner at the Robinsons Supermarket 11th Fit & Fun Wellness Buddy Run. Participants get to enjoy fun activities and bring home lots of goodies after the race. This is one way for this event to motivate you on your wellness journey. My husband and I had a blast at the Fit & Fun Wellness Buddy Run last year. It’s our 2nd year in the wellness run and this time our daughter Sam will be joining us. We were all excited because this is the first time for Sam to run with us in the race. Sam even woke up early due to her excitement. Unfortunately it started to rain hard as we were leaving the house and this made us reluctant to go. But the rain didn’t dampen our excitement so we went ahead and hoped that the rain will stop before the event starts. There was almost zero visibility as we were driving to the venue. 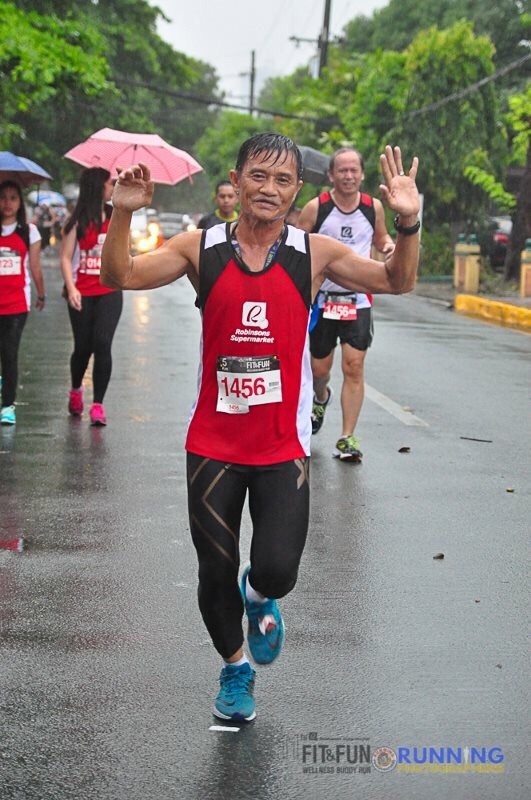 It was a relief when the rain let up a bit when arrived at Robinsons Supermarket 11th Fit & Fun Wellness Buddy Run. We were actually impressed to see that everything is in place and ready to go when we got there. Race paraphernalia like markers, clocks or timers, and arch were properly set-up. Race marshals, sponsors, and participants were also rearing to go. However, the management of Robinsons Supermarket decided to cancel the race for safety reasons. Instead of a race, participants can simply claim their loot bags and join the booth activities. Those who are all set to race were given the option to run the course without any time pressure as no official time records were taken. It was just one leisurely run for everyone. Even with no 5K or 10K races and prizes to claim, a lot of the participants still opted to run. My husband and I wanted to run but since our 3-year old daughter Sam is with us we decided against it. But still it was fun to watch people run for wellness despite the bad weather. There are participants who simply claimed their loot bags and went home immediately. Others decided to join the activities prepared by Robinsons Supermarket and lined-up to claim freebies from various booths. 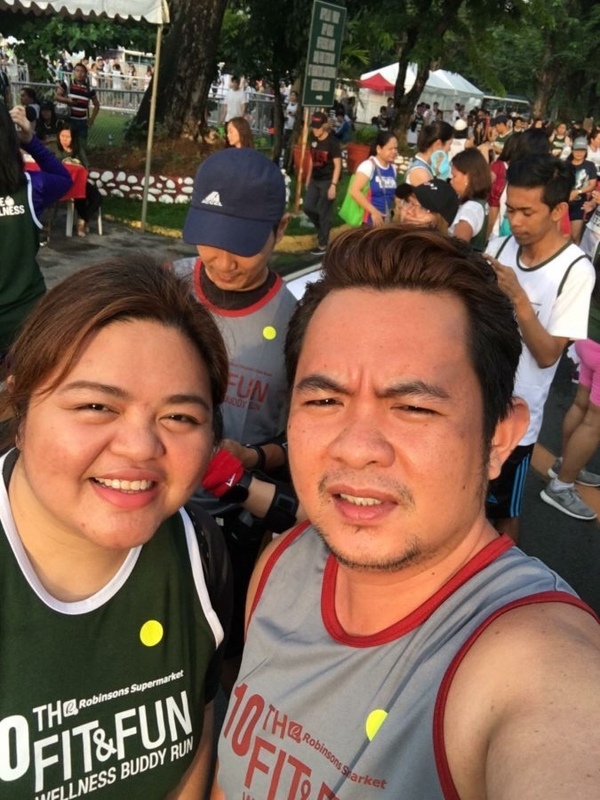 Robinsons Supermarket 11th Fit & Fun Wellness Buddy Run was definitely a big success. We didn’t see anybody looking grumpy or disappointed in the event. The race may not have pushed through but the fun and enjoyment continued throughout the event. 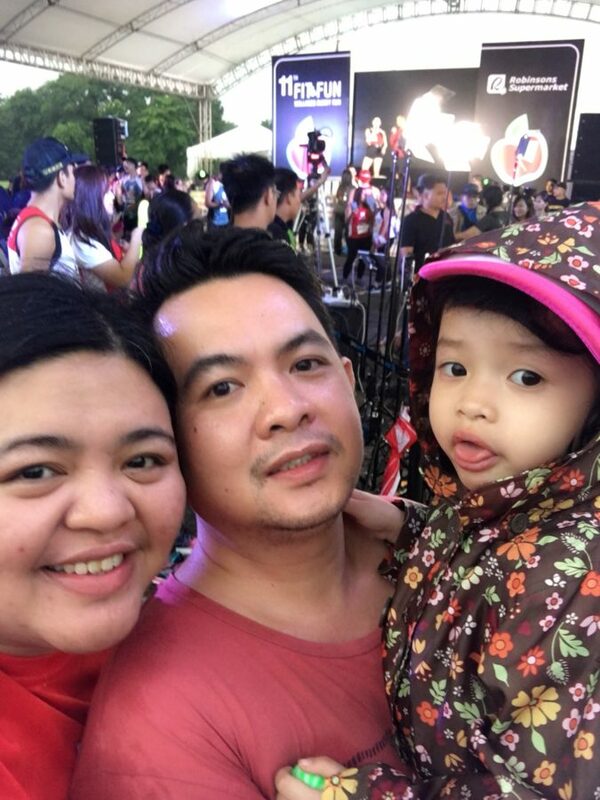 This goes to show that no amount of rain could stop the festive mood of Robinsons Supermarket Fit & Fun Wellness Buddy Run. I guess there’s always a rainbow of joy when you celebrate health, wellness & fitness with the spirit of giving, sharing, and camaraderie. In the end everyone went home with lots of goodies, memories, and a strong sense of family and community. 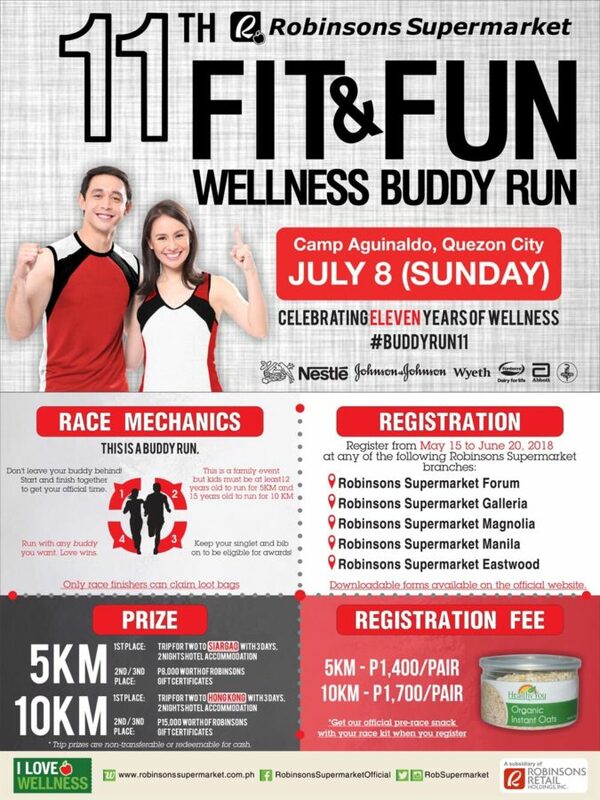 With that I would like to congratulate Robinsons Supermarket for successfully running the 11th Fit & Fun Wellness Buddy Run. Kudos to your team! Previous Post: « Kickstart-up Communications Agency Ascends into the Big League!